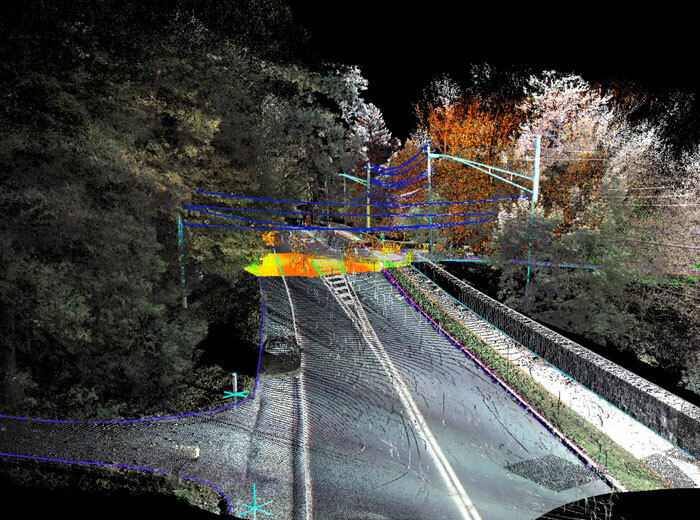 Badey & Watson completed a 3D high definition survey of the Pace University Pleasantville Campus entrance. It was critical to know the locations of existing wires and this was easily accomplished from the laser scan. 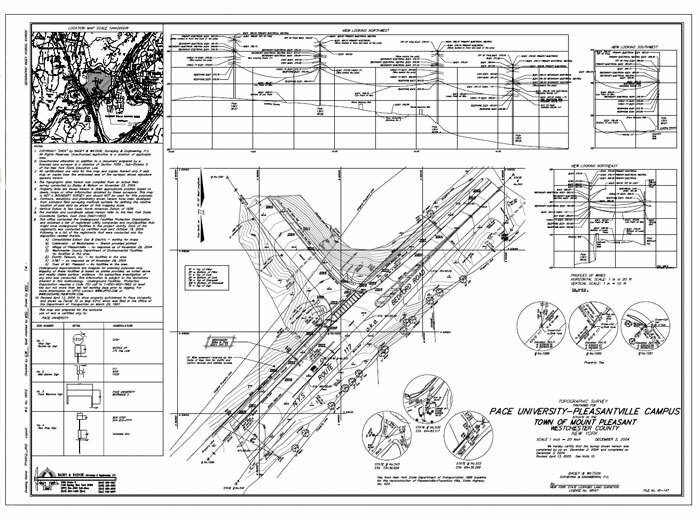 This fully registered scan of the campus entrance was used to develop a topographic map for the design of a new traffic signal. In addition to standard topographic detail, the scans allowed precise location of critical overhead wires. 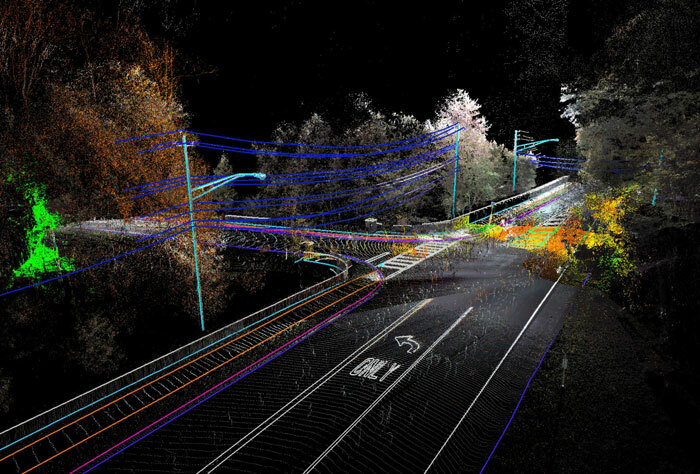 A very accurate topographic survey of the road was created and delivered in traditional 2D maps.